I want to start by thanking you all for the fantastic support that we received during the WSO listing. Your testimonials and in your posts on the thread were just superb. We were speechless. Thank you. I’ve been wanting to write about this topic for a while, and the comments on the WSO thread just reminded me of it. 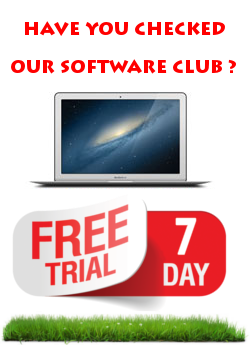 You won’t believe how many really good software products are out there, that are extremely good, and 100% free. And I don’t mean free like in a trial, I mean absolutely free, for good. The thing that I’d like to point out before going to the products themselves, is that I’m not claiming that they are the exact same thing as their paid counterparts. Some times they are not. But in general, the results you get are extremely good. And you can always try them to see how it goes. Sadly for me, that kind of talent doesn’t ship with Photoshop. Anyway, if you just need to teak your images a little bit, add some transparency here and there, or join a few images together, there’s a really good free, and open source solution: Gimp. 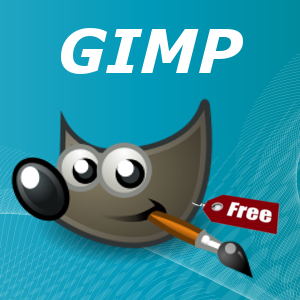 You can download Gimp for free at the Gimp site here. Gimp takes a minimalist approach with small floating windows that you can choose to keep or hide. It organizes the project in layers (just like Photoshop), and features masks, paths, effects and filters like it’s Adobe counterpart. But let’s get realistic. I’m not talented in graphical design. But let’s see how Gimp let’s you do some simple stuff , so you can get a rough idea of it capabilities. Again, I’m deeply sorry if there are talented designers in the audience. I’m just trying to showcase a little piece of free software that has saved me more than once. Remember that you can subscribe to our Youtube channel here. A lot of cool stuff is coming. Like I said before, we are planning on doing more posts about free tool, do you find the subject interesting ? We’d love to know what you think. ← The Slideshow Video Maker WSO is Live !!! Thanks for taking the time to post this information, and make it available to us, and look forward to you showcasing more free tools to assist with our video marketing. You are welcome Mike, and thanks for taking the time to comment. Online Business Factory © 2019. All Rights Reserved.